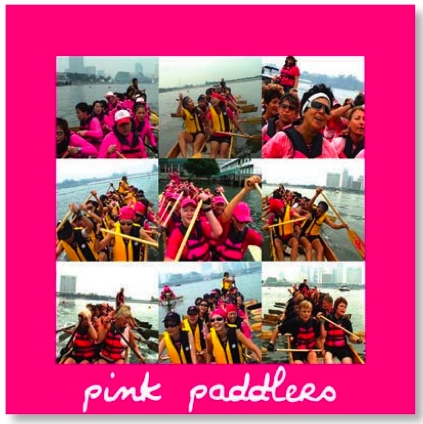 A charity premiere of Pink Paddlers will be held on Monday, 26 March 2007 at 8.00pm at The Grand Cathay. You can purchase tickets by either calling Dawn at 6238 6761 or you can email them. Tickets are priced at S$50 and S$30 and are sold on a ‘first come, first serve’ basis. The movie is presented jointly by the Breast Cancer Foundation, Singapore Council of Women’s Organisations and UNIFEM Singapore. So, what is the movie “Pink Paddlers” about? Well, it’s an hour long documentary film that shows the strength and courage of a group of women who had battled and won against breast cancer. They decided to come together to do battle on a dragon boat and compete in the first-ever Breast Cancer Survivor Dragon Boat World Championship in Singapore. Personally, I feel very strongly about supporting the Breast Cancer Foundation (BCF) as my mum had breast cancer as well. After going through the chemotherapy and radiation, she became a very active volunteer with the BCF and went around to the different hospitals to counsel and give encouragement to the affected women. Sadly, she suffered a relapse and passed away in May 2000.